All on board for the Carers' Passport! Are you making the most of the 390+ discounts availble to you across Hertfordshire? Our Carers’ Passport Discount Card is a fantastic resource for carers as it provides valued financial support through the savings, services and business offers that we have secured for you. It also helps carers feel recognised and valued, giving a real sense of identify with the photo identity card. 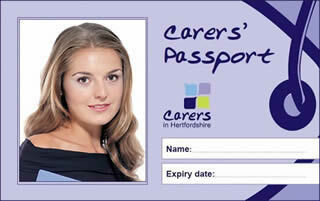 To date 12,239 passports have been issued to carers across the county! 55% of them - 6,770 carers - are now accessing support or advice from Carers in Hertfordshire, for the first time. There are currently almost 400 discounts/concessions available with the Carers’ Passport Service and companies signed up to support the passport include LloydsPharmacy stores in Hertfordshire, Nando's, Frankie & Benny's, Haven Holidays, Coopers of Stortford (mail order and in store), Paradise Wildlife Park, plus many local businesses. 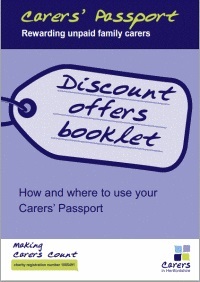 The deals are listed here in the lastest pdf Carers' Passport Offers Book (4.68 MB) (V21 updated Autumn 2018). 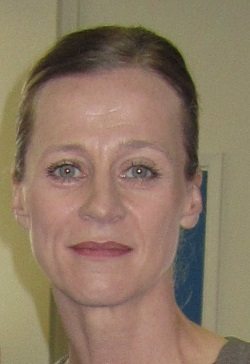 Applying is really easy, just click here to fill in the online form and attach a headshot photograph. If you would prefer you can apply through the post and application forms are available in your local library. Alternatively, give us a call and we can post you one. Any businesses interested in getting involved in the service would be welcomed and they should get in touch with Karen at or call 01992 58 69 69. April 2019: More generous businesses have signed up to provide discounts or offers as part of the Carers' Passport Discount Card. Just visit our Latest Offers page to find out which businesses are now involved. We would like to pass on our thanks to all those new businesses that have agreed to participate in the service; recognising unpaid carers in their local communities and rewarding them for the amazing work that goes on behind closed doors each and every day.